GPS Tracker Defense Jams All Tracking Devices | OhGizmo! If you’ve ever watched Star Wars (please tell me everyone here has) you’ll remember that the location of the rebel base was outed when Vader and Tarken decided to put a homing beacon aboard the Millennium Falcon. Well if you’re ever paranoid that someone might be tracking you in a similar fashion, you might want to pick up one of these GPS Tracker Defense devices. This is quite simply a GPS jammer. You need only to plug it into your car’s cigarette lighter and every GPS device within a 5-meter radius will be disabled. This of course means you won’t be able to use your own GPS to guide you to your location, but that’s the price you pay for paranoia. Well, that and around $300. You can get one for about $80 dollars on deal extreme. Lojack does not use GPS it works on radio telemety. 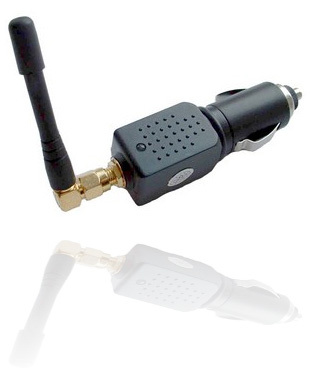 I just picked up a jammer from cellphonejammer.cn and used it in the mall….OMG, so much fun! Yeah it won't work for LoJack, LoJack uses a completely different networking system. You can get a gps jammer here.